Germany’s Scanner have had a rather odd release rhythm. One year between albums, then six. Then one year and then again six. Their sixth effort The Judgement now is breaking that rhythm, because instead of one year, it took the quintet from Gelsenkirchen only 13 to come up with a new album… Back in 1988 and with their debut Hypertrace, the band was groomed by Noise Records to become a successor to the then almighty Helloween, an endeavour that lasted for two albums (1989’s Terminal Earth was the other one), but despite the obvious quality of both albums, success eluded them and the project got dumped. Fast forward to 2015 and The Judgement. 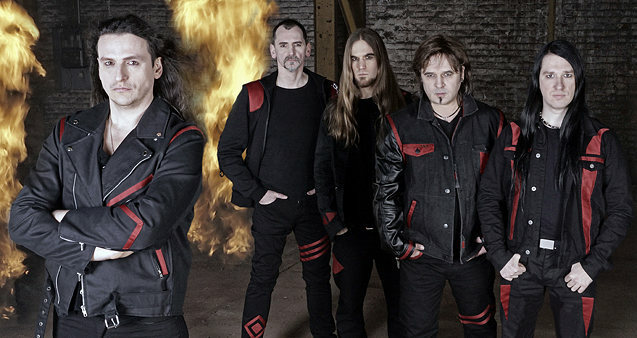 Guitarist Axel “A.J.” Julius has been the sole survivor of the original line-up since just after Terminal Earth and Scanner have had a virtual revolving door in terms of musicians since then, with 22 former musicians, bringing the total count to 27. And the new album sees the fifth vocalist on the sixth album, so consistency is something that Scanner never have had and unfortunately the musical output has been as inconsistent as the line-up. They did not have any duds in their discography, but the quality of the first two albums had never been reached, so how does their latest effort fail? Well, it is a throwback to the 80s, in more ways than one, there is not an ounce of modern to be found on this disc, which on one hand bodes well given their quality back then, but at the same time raises the question, if it is a legitimate return to their traditional virtues or a calculated attempt to reclaim lost territory. Either way, expectations were fairly high and the end result is somewhat of a mixed bag. Some of the material, especially in the choruses, harkens back to the proto Teutonic heavy/power metal of bands such as Stormwitch, Gravestone, Stranger, Veto, Killer or Noisehunter that Gama Records and their sub-label Scratch Records had churned out in the mid to late Eighties, which up to a point almost sounds fresh these days, mixed with some of the band’s traditional power metal elements. 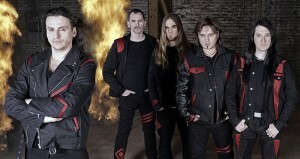 “F.T.B.”, “The Judgement”, “Battle of Poseidon” and “The Race” are the most reminiscent of their old power metal days with fat double-bass and high speeds, with the first being the probably best track of the album, full of energy and memorable chorus, while “Battle of Poseidon” is let down a bit by its anti-climactic chorus. One of the main issues of The Judgement is that while many of the choruses are good and catchy (see “Nevermore” or “Warlord”), almost as many of the songs have a few problems catching fire and gripping the listener, leaving a bit of a stale taste. It gives hope, though, that maybe Julius will be able to keep a stable line-up for once and build on this album, with Efthimios Ioannidis he definitely has found a very capable vocalist. Overall The Judgement is a pretty good comeback for the Germans, which has its flaws, but also brings enough to the table to reel their old fans in again. The 80s revival might work in their favour, especially since some of other bands trying to profit from it did not quite cut the cheese, but it remains doubtful, if they’ll really manage to attract a whole lot of new fans. 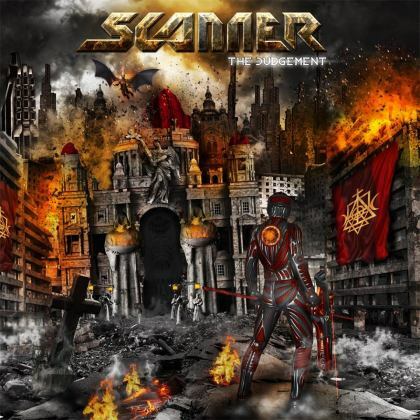 This entry was posted in Reviews and tagged 2015, 7, Comeback, germany, Gravestone, Heavy Metal, killer, massacre, Noisehunter, power metal, stormwitch, Stranger, Veto.